We were ready to leave…but I don’t think Savannah wanted to let us go just yet…but first I have to share a few more things with you! 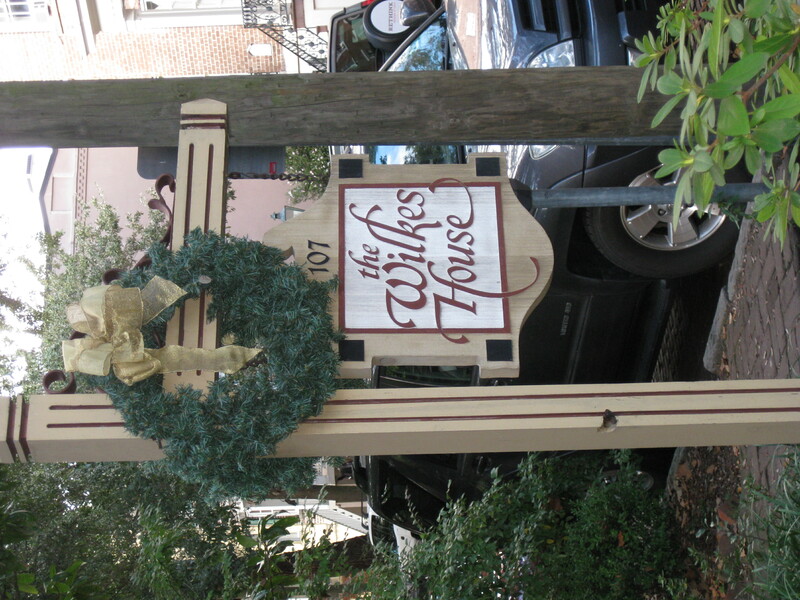 Mrs. Wilkes Dining Room is a restaurant where they serve southern food family style. The wait was a little long. When we got there the line was down the street (yelp doesn’t lie) but man oh man was it worth the wait!! You could smell the food from down the block and the fried chicken was making my mouth water. Thanks, Melissa, for the hint on not missing that place! 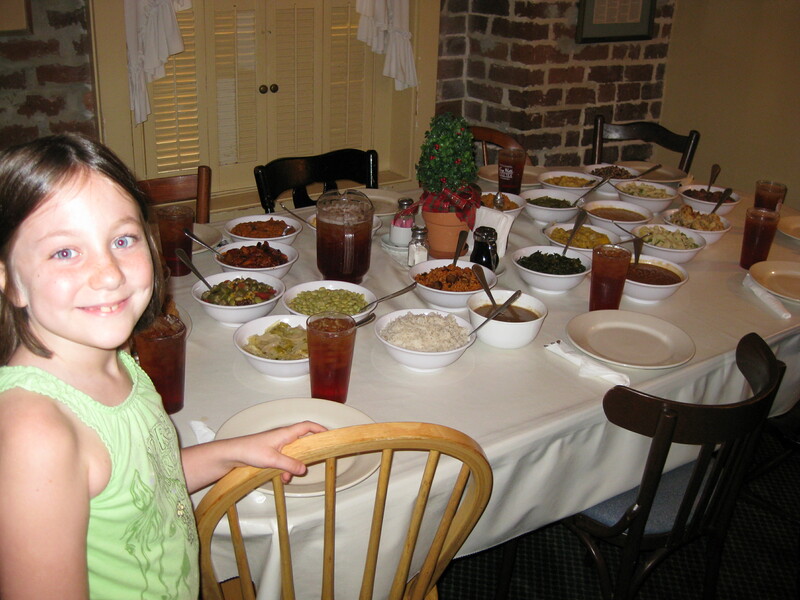 Once we got inside the dinner table was already loaded with food…fried chicken, greens, cornbread and biscuits, potatoes au gratin, gravy, sweet potato casserole, corn, green beans, stuffing, rice, beef stew, bbq, mac and cheese, beans and sausage, squash, okra, cucumbers and probably more that I can’t remember. Ok…now onto today. I know that most of you have simply skimmed down this post to get to the good stuff. Well, let’s not keep you waiting any longer, eh? We woke up this morning with the intention of being on the road by about noon. I have to say that the day started off looking very promising. I got a run in, ate a good breakfast and headed outside to start packing up where I hit my first obstacle. I had trouble getting the awning to lock. She’s quite the finicky lady. You have to roll her up just right or she won’t lock and might decided that she needs airing out at 60 mph. So, after coaxing her about twenty times I finally got her rolled up. Woo-hoo! That has to be the glitch today right? RIGHT?? uhuh…sure thing sugar. After getting all the stuff put away and backing the truck up just right, it was time to pull in the slide out. Guess what happens when I pushed the button? you got it….NOTHING. not. a. darn. thing. Are you friggin kidding me?! So, I crawl under the trailer (did i mention i had showered and was all nice and clean?) looking for whatever was making it not work…let me be honest here folks. I know I’m smart. I might even go so far as to say I’m a pretty intelligent lady who is able to figure most stuff out. most stuff. Not this stuff. All those nice accomplished feelings I had about the awning went right down out the window. Where the heck is my husband when I need him?? oh yeah…Alaska. Gee, thanks honey. So, I did the next best thing. I called Doug. You all remember Doug and Andrea Caruolo? Our friends from NC that we bought the camper from? Yeah…I called them. 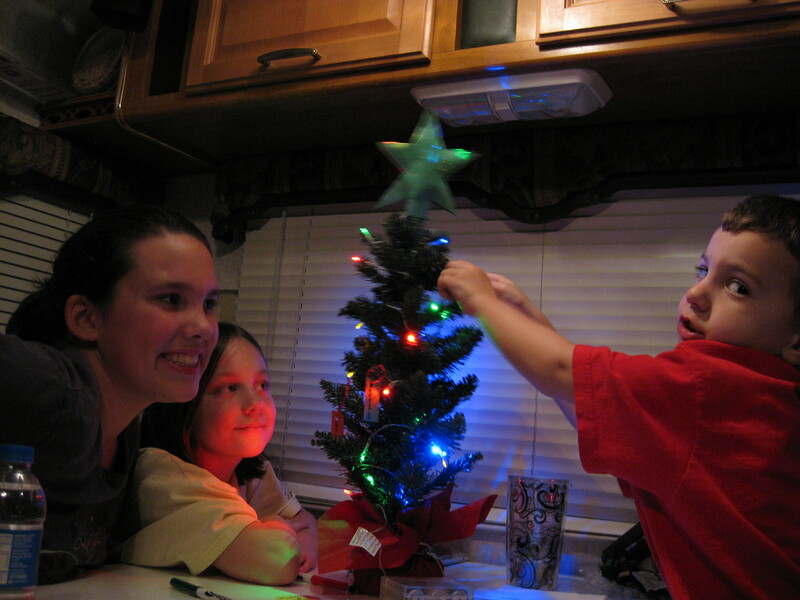 They really are the icing on our cake when it comes to camping. We got so much more from them than just this camper….but this is about me right now. 🙂 Anyway, Doug, aka mr. can fix anything, walked me through how to check the teeth and turn off the motor and hand crank the sucker to get it started. Now here is where I am so glad I was in the South….and I’m a woman…and pretty (haha). The owner and his son were driving around and I flagged them down to ask for assistance…and being that I am in the south and am a bonafide damsel in distress do you know what happened? yep….they fixed it for me. All I had to do was gently instruct them with what Doug told me to do and voila! Slideout on the way in! YAY!!! So we hooked up and moved out. Now…time for gas and my most favorite thing while driving down a rainy highway. COFFEE!! And how is this bad, you ask? oh….why let me tell you…I managed to get into the truck and not get soaking wet but my elbow decided that my new leather seats needed some coffee more than I did. Crap. At least the guy inside was nice enough to give me another cup…I guess the damsel in distress is still an acceptable label for a worn out, soaking wet from the second trip into the store, bedraggled mother driving a huge truck and camper. Funny….Grace just calls me country.